When the Forbes Under 30 Summit descends on Philadelphia once again this October, local organizations will get the chance to team up with the mega-event. The magazine is currently accepting applications for the chance to host an "official offsite event," from which five will be selected. The summit will gather over 2,000 young business people, entrepreneurs, game-changers and mentors for four days of workshops, panels and networking events October 4 through Oct. 7. The speaking lineup currently includes Sara Bareilles, Barbara Bush, Josh Kopelman, Michelle Phan and Mike Tyson. The name of your organization and its ties to the city of Philadelphia, and the name of any organizations you will partner with to host your event. Your event idea and overview. Include the "who, what and why." Maybe it’s an interactive think tank or an intimate Q&A session—the sky is the limit! Include the "where" if you have a specific location in mind. Your event must take place during the official summit dates. 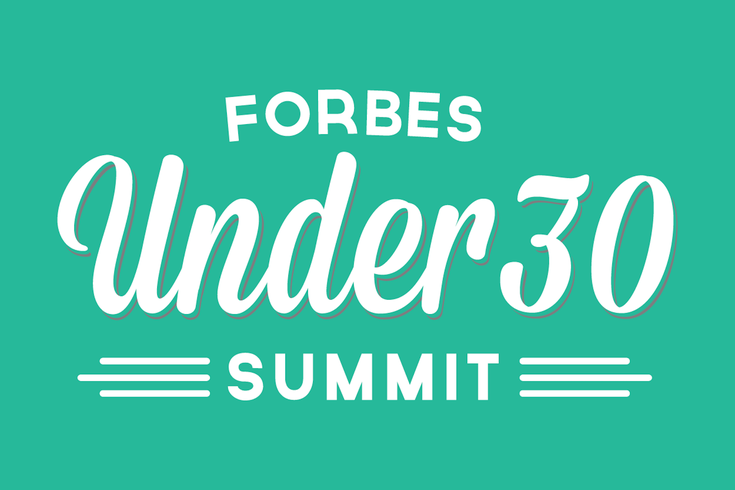 How your event aligns with the goals of the Forbes Under 30 Summit. These events will appear on the official agenda of the summit and will be produced entirely by the applying organizations themselves. Applicants will hear about the status of their applications by Aug. 14.